This machine is now in the safe hands of Charles Watson. This short wheelbase machine with pedal overlap must have been one of his TT bikes. It is in Major’s favourite Pillar Box Red with white panels and Red Major Nichols transfers. 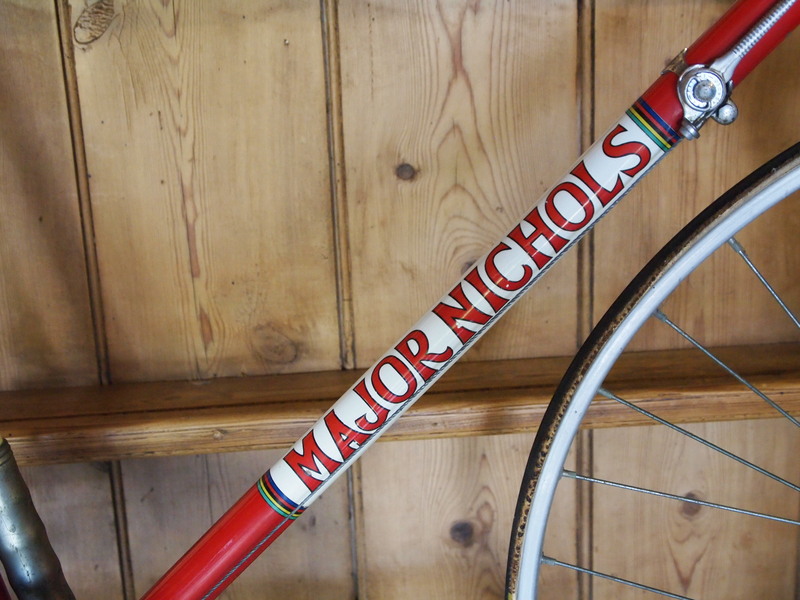 A smaller white MN capital set is on the chainstays and Reynolds 531DB on the seat tube top. The Reform Street badge and number suggest it is one of the last of the old vintage, early in 1971. It is not a frame in the shop record and this appears to be a feature related to supporting good riders. Only one of Ant Taylors for instance, of the nearly 20 he had, is shown as his. We will wait and see what turns up. 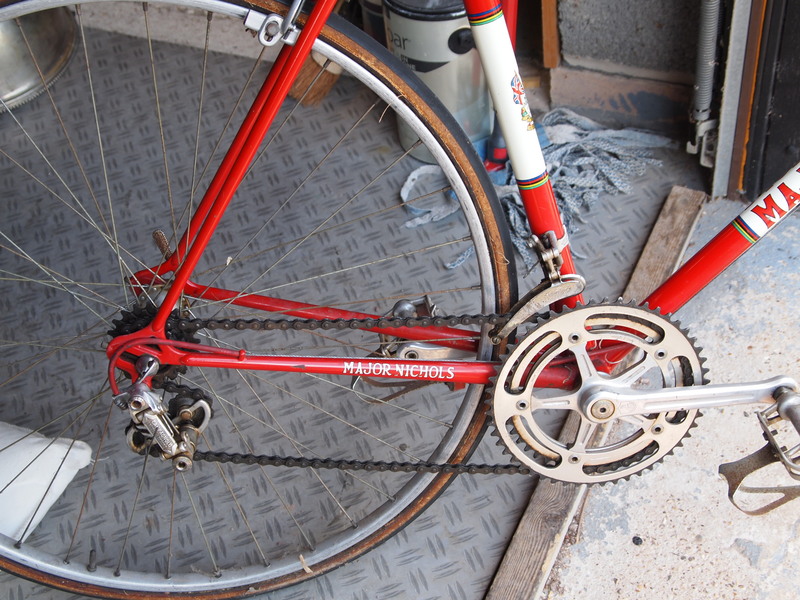 Unlike Ant’s in the 60’s, Phil’s machine is built for a double chain ring set-up. The frame looks typical of the ‘best’ bikes, minimal braze-ons and Prugnat lugs, in this case the 62 D series and a nice cast RFG (Raccord Gargette Freres) BB shell, a nicely refined Vagner No. 12 fork crown and not much fork relief. 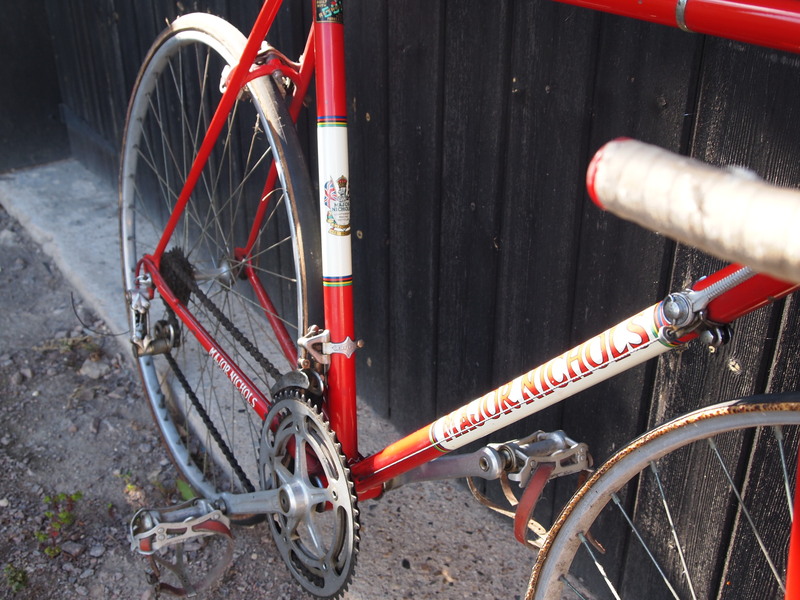 A short wheelbase with the Campagnolo adjuster at their limit. Braze-ons are just rear derailleur cable stops. 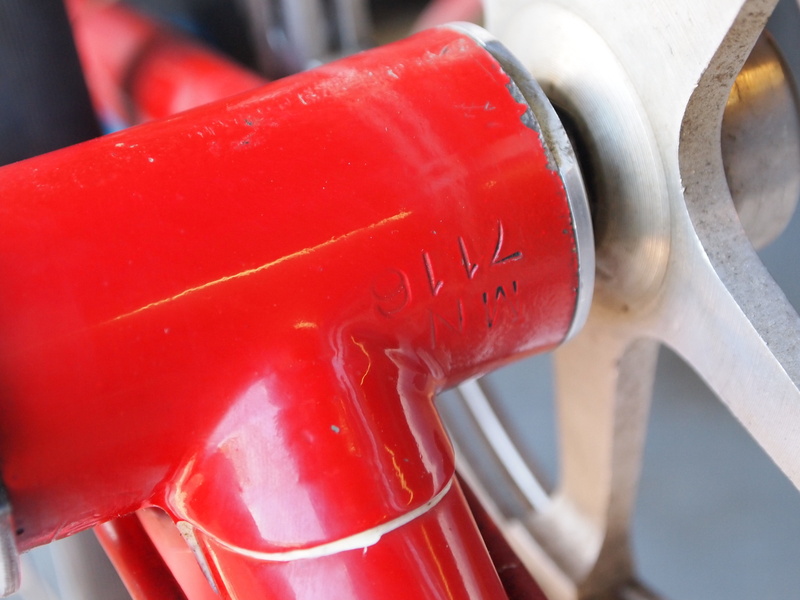 Universal model 66 sidepulls and levers with hoods on Cinelli Giro D’italia Bars and probably a Cinelli 1A stem. Tressorex Bar Tape at a guess. Not sure about the headset. Looks like one of Major’s favourites. Alloy plain seat pin with a Seamless Fujita Manufacturers Co. Saddle. Pretty unusual. They made some good copies! Campagnolo band on levers serving a Campagnolo Nuovo Record gear train with a big 56 tooth top ring. 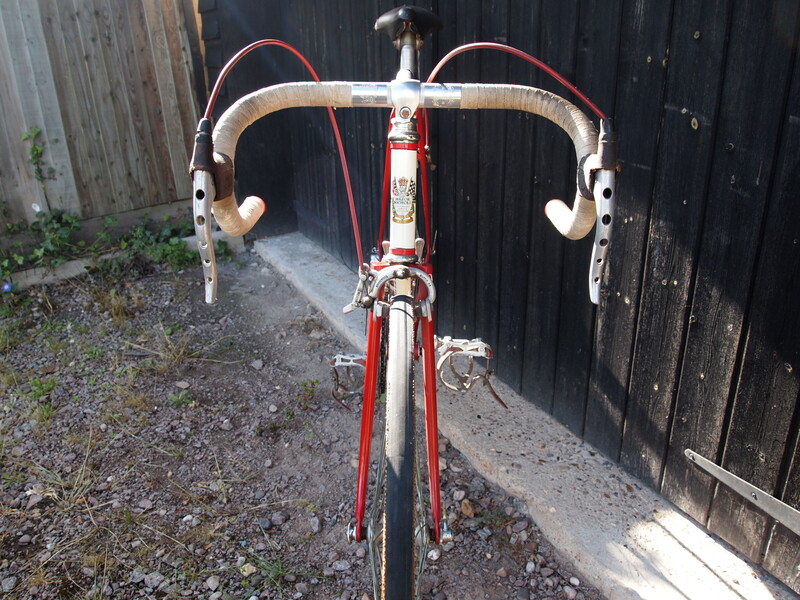 Proper Campagnolo cables too. Campagnolo pump clips and cable clips. Probably Campagnolo Strada Pedals. Wheels are both 36 spoke Mavic sprints on Campagnolo SF Records at a guess. 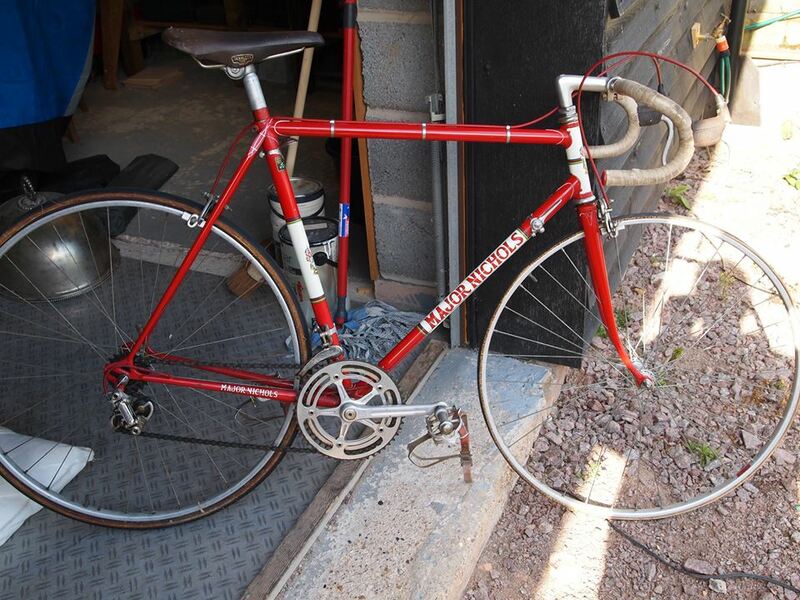 All in all, a top bike in grand original condition. There will be little portfolio of photos of him gathered by Felix and Charles in a Riders room later. Remarkable. 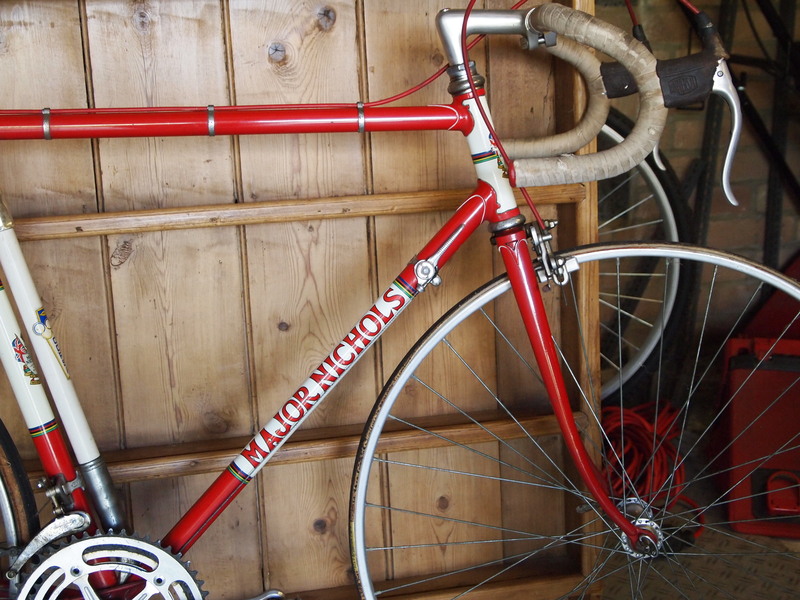 I joined Thornhill CC at 16 years old and yes, after a Mercian and then a Bob Mansell, I bought a Major Nichols second hand in Metalic Blue round about 1973. Got it re-sprayed by Major in classic Post Office Red. Used to ride with the chain gang from Hagley Island on Sunday mornings, Phil Bayton rode everyone off his wheel (I think – as to be honest I never got that close and then he moved to France – or at least that’s what he said). These are the days when Mick Heathcock was supreme in sprint finishes and gentleman Howard Derby used to ride. 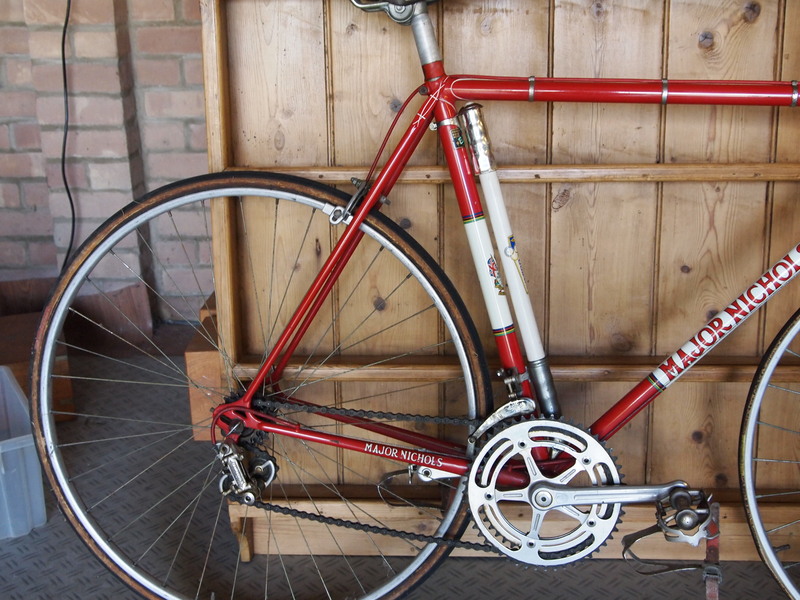 This bike you have pictured is virtually a fax copy of the one I had. Same handlebars. Same Campag Nuovo rear mech and levers. Bought some Campag LFQR sprint wheels from Tommy Godwin. What a bike. At the same time my friend who lived two doors away also road a Major NIchols which apparently was pre-owned by Phil Bayton. 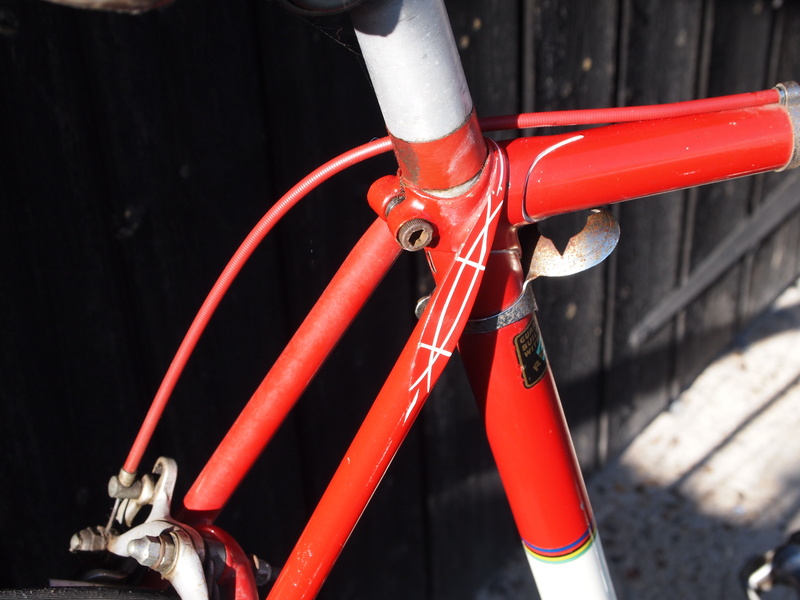 In my case, unfortunately, the top tube became pitted in the 1980’s and at the time doing a repair was out of the question, also the bottom bracket shell became too slack to keep the cups tightly adjusted. As I was living in Yorkshire, taking it back to MN was out of the question. Am still riding now aged 60, until this year lived in the Pyrenees and many a spent climbing on all of the cols near to Bagneres de Bigorre. No longer riding steel though. What would I give for that bike now? The same price as I paid for it (£10.00). Seriously, let me know if you ever plan to sell! She’s a bute. Can’t remember my own frame number for sure.